Name: The surname was recorded in Sussex where they were seated as Lords of the manor of Faunt. 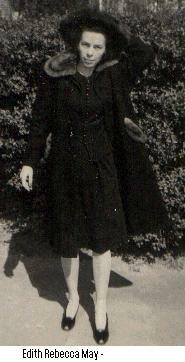 History: Our tie to the May Family is through my mother, Edith Rebecca May (b. 1914). The Scottish May Family is a sept of Clan Donald. A review of the History of Clan Donald should provide the reader with a good background. My understanding is that septs were so closely aligned with the clans that they were essentially a part of the clan, fought with the clan, wore the clan tartan, and fell under the same authority. Our Mays may have immigrated to England and from there to the Colonies. 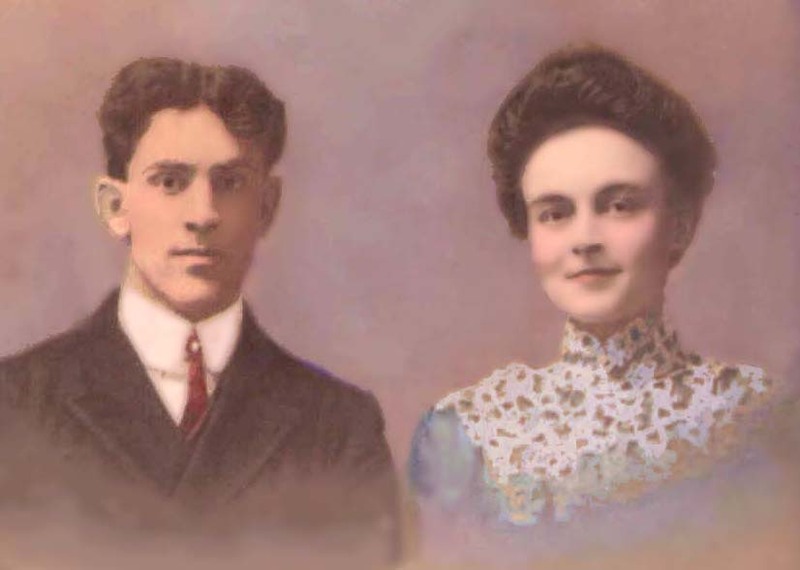 There is a tradition by some of the Floyd County, Kentucky Mays that the family is German (as attested to by Andrew Jackson May about his 5th Great Grandfather); it is known that many Mays in England fled to Holland to escape religious persecution before coming to America; but kept the May name. The Mays settled around Martinsburg, Virginia. John May joined the Continental Army there, and then most of his relatives moved to Tazwell County during the Revolutionary War, and then to North Carolina. My May family story begins with James May of Virginia, who is seen on the 1850 Census of Morgan County, Kentucky (now Magoffin County). The book "Our Family Heritage", and the three volumes of "The May Families of Eastern Kentucky" go into some detail on this family. Both references discuss the probable kin relationship of James and Caleb May of Magoffin. Caleb May is found on the 1810 Floyd County Census with John May and Samuel May. My grandfather, Augustus Noah May received from his grandfather Adams that Caleb was the uncle of James. Caleb was born in 1780 or 1781 in Washington County, North Carolina. His family had migrated there from Tazwell, Virginia. There were two May families in the 1790 Census of Wilkes County (now Ashe County), headed by a Jacob and Abram May, and Caleb was in one of these families. Caleb seems to have moved around, as did most early settlers of Eastern Kentucky, before finally settling in Floyd County. Records have found him in Greenbrier County, Virginia (now West Virginia) as well as Russell County, Virginia. In 1801, he appears on the tax lists for Russell County along with a David and James May in 1803. The same three men appear in 1804 with Jesse May. In 1805 only Caleb and James appear, and in 1806 no May at all appears. Caleb may have gone to Greensboro County, Virginia by 1806, and then to Floyd County by 1810. Caleb May married Margarita Patrick in about 1801 in Russell County, Virginia. She was the daughter of Jeremiah and Sarah "Salley" Blair Patrick. Margaretta was born September 2, 1783, probably in Russell County. 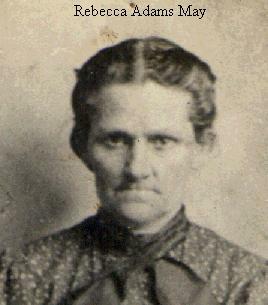 She died December 5, 1861 in Magoffin County. Caleb was a minister of the Gospel in the United Baptist Church. He was a delegate for the Burning Springs United Baptist Church in the Association's Meeting in 1814. He was known to have been preaching in 1816. James May's son, Noah May, was a Private in the Kentucky Volunteers. He fell ill to some camp fever, and later died of pneumonia. His wife, Elizabeth Caudill, carried their youngest child in her arms as she rode the long long dangerous road from home to Lexington so that Noah could see his child, or more likely the child could see his father before he died on June 23, 1864. Famous Mays inlcude Cousin Jackson Campbell May, who holds the world land speed record from New York City to Los Angles in the Cannonball Baker Memorial Dash, and Grandparents Noah and Sarah whose work in Industrial Arts Education brought national acclaim.